First off the mark is good oral hygiene and home care. 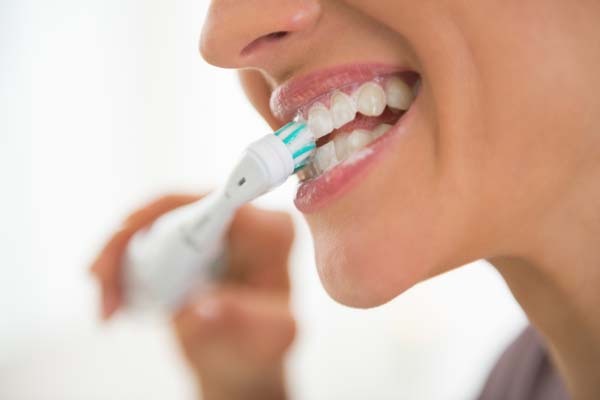 If you don't already use an electric toothbrush, now is the time to invest in one. They are as cheap as chips when compared to having a few teeth restored, and can be up to twice as effective as manual brushing. If you do use an electric brush, but somehow feel you are not getting the best use from it, or are not sure you are using it correctly, why not bring it along with you to your next hygiene appointment, and let our hygienist show you how to use your electric brush to the best of it's abilities. Flossing is vitally important as this will remove and disturb the plaque at the contact points between teeth where decay can easily start. Flossing twice a day is the recommendation, but failing that, flossing at least once a day, at a time when you are not rushed or disturbed would be best. Few people have time in the morning, so setting aside some time at night would be more suitable. You need to floss between the contacts points of your teeth - that is where you feel the floss click through between your teeth. If you find the floss is getting stuck or shredded at certain points, you need to get these areas checked as you may have a restoration with a sharp edge or catch, that will prevent you from caring for that area. Below the contact point is the larger space at gum level. Floss can be a bit small to clean this entire area and it may be worth finding out about inter-dental brushes like Piksters, that can be used to clean these areas quickly and more efficiently. Another important factor that can effect your risk of developing tooth decay or acid erosion is decreased salivary flow. A lot of patients may not realise that numerous routinely prescribed medications, have as a side effect, a reduction in their salivary flow. Recreational drugs can have a profound effect on salivary flow as well. In both cases, this reduction in flow diminishes the rinsing and buffering effect saliva has, with obvious results. It is important that you tell your dentist all the medications you are taking, and that you seek advice and treatment for a dry mouth. If you are temporarily experiencing a dry mouth, one way of stimulating saliva flow is to chew sugarless gum. Everyone suffers from gum disease at some point or another, and in its simplest form presents as bleeding gums (gingivitis). Left unchecked, the disease progresses with irreversible bone loss, and is the leading cause of tooth loss in adults over 35 years. There are several risk factors involved, genetics being one of them, and early diagnosis and treatment is vitally important in keeping healthy teeth and gums. 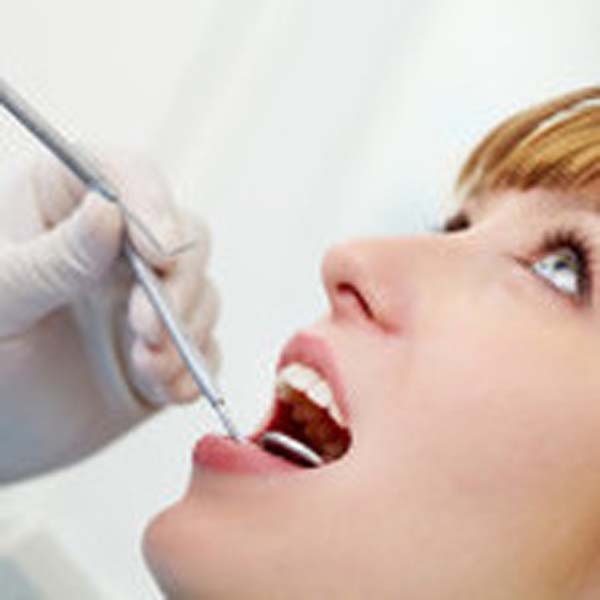 Your dentist will check your gums at your routine dental check-up and determine your periodontal status. Depending on the diagnosis your dentist may treat your gum condition in conjunction with a hygienist, or refer you to a gum specialist (Periodontist) for specialist treatment. A lot of our patients ask, money aside, what would be the best possible restoration that could be placed in their tooth? The answer is simple. Your own sound healthy tooth! Nothing can beat what you were given in the first place, and any man-made restoration is really a compromise. Restorations can, and do last for many years, but they all eventually fail and will need to be replaced. Each time they are replaced more sound tooth structure is removed, until eventually a restoration that started off as a small filling can end up becoming a crown. This is where "prevention is better than cure" really comes into it's own. The moment a tooth is restored due to a breakdown by decay, you commit that tooth to a life-cycle of restorations. To this end we would like to share some helpful tips that may assist you in preventing having to need a restoration in the first place, or if it is too late, to help you look after your present restorations as best as possible. This section is not meant to be diagnostic or prescriptive by any means, and if you have any dental issues that are of concern to you, you should consult with your Dentist for appropriate diagnosis and treatment. Diet plays a major role in plaque formation, particularly when it comes to fermentable carbohydrates like sucrose. 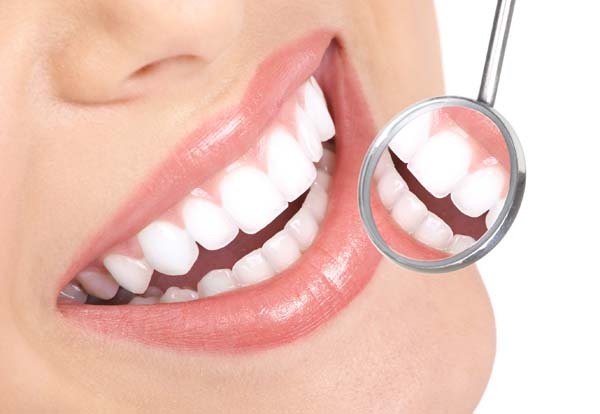 Weak organic acids are the result, which weaken the tooth structure and cause decay. The frequency of snacking is more important than what you snacked on, so cutting down the number of times you snack will help. Another important part of your diet is what you drink. Carbonated drinks and high energy drinks, besides containing high level of sugar promoting plaque growth, are also acidic. Even the sugar free ones are highly acidic. Acidity in the diet is one of the main factors in acid erosion of teeth. Acids demineralise and soften the tooth surface making it more susceptible to abrasion, particularly by tooth brushing with or without toothpaste. This problem, unlike tooth decay is not of bacterial origin, and is related to what you eat and drink. 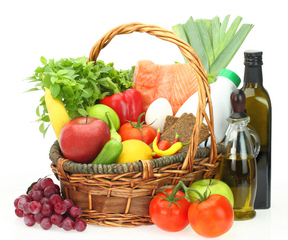 Foodstuffs/drinks to be aware of are: carbonated drinks, high energy drinks, fruits and fruit juices, vinegars, red wines, and chewable vitamin C tablets. Acid erosion is also present in some medical conditions, e.g. Bulimia Nervosa and gastro-esophageal reflux disease. Symptoms of acid erosion can manifest as a general sensitivity to cold water and air, and is usually episodic and can be directly associated with an acidic episode. The sensitivity worsens with the progression of erosion. Brushing straight after an acidic episode is not advised as the tooth surface affected will be weakened and brushing will aid in removing the softened tooth surface. It would be best to rinse straight afterwards and wait an hour or so before brushing. Drinking acidic drinks through a straw will help minimise the contact time of the drink with your tooth structure. Ask you dentist about Tooth Mousse and other ways to help treat acid erosion. 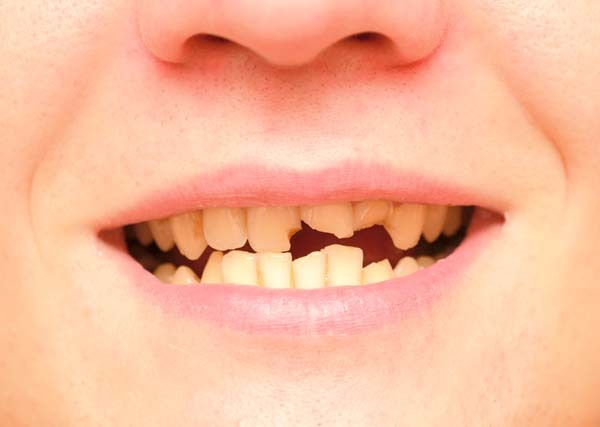 A cracked tooth is a tooth that has a fracture, split, crack or craze running somewhere through it. People are living longer and more stressful lives, and are exposing their teeth to many more years of crack-inducing habits, such as clenching, grinding and chewing on hard objects. These habits make our teeth more susceptible to cracks. In some cases, teeth that have been restored with silver (amalgam) fillings are at higher risk of cracking, as the metal filling can act as a wedge between the cusps, forcing them apart, creating fracture lines that can propagate downwards with daily function. Cracked teeth show a variety of symptoms including erratic pain on chewing, pain with the release of biting pressure, or pain to extreme temperature. Cracks do not show up on x-ray and can occur at any age but are more predominate in the 30-50yr age group. Cracks can be visible in the tooth and diagnosed at your dental appointment, leading to planning options to treat and prevent the propagation of the crack. Cracks however, may also start in the root, way below the gum, making detection, diagnosis and treatment difficult. Cracks that start in the crown of the tooth and propagate downwards may in time, extend into the nerve chamber, resulting in bacterial infection of the pulp and nerve death. At this point the options available are limited to extracting the tooth or performing a root canal treatment (see below). Restoration of a cracked tooth at this stage of involvement will involve a crown, but that is still no guarantee that the tooth may not crack further under the crown and result in eventual tooth loss. 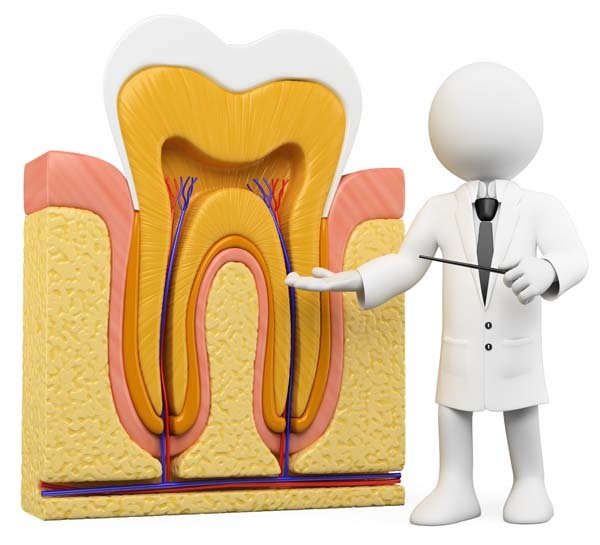 A root canal is a dental procedure to remove dead or dying nerve tissue and bacteria from inside a tooth. If a tooth has been badly decayed, traumatized, cracked or subject to a deep restoration or numerous large restorations in its lifetime, the pulp inside the tooth can become infected. Toxins and bacteria progress down the root canals and out through the apex into the surrounding bone and when this happens a dental abscess can form in the area. At this point the options are to either extract or to perform a root canal treatment. In order to treat the abscess or prevent one from forming in the first place, the dentist cleans out the root canals of the tooth with special instruments. The tooth is then sealed off with a particular filling in the canals and then another filling on top of the tooth. Root treated teeth are weakened and should be crowned to prevent long term fracture of the tooth. The benefits of a successful root canal treatment include the relief of pain and the ability to retain the tooth in comfort and function. There are however risk factors associated with the root canal procedure such as; the possibility of separating instruments in the canals, damage to existing restoration work presently on the tooth receiving treatment, further weakening of the tooth, post-operative pain, swelling or infection, and a chance of failure of the procedure depending on when the dying/dead tooth is diagnosed and treated. 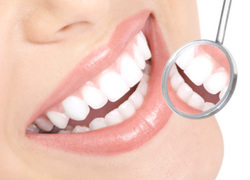 Finally but most importantly, routine dental check ups with your dentist and a scale and polish by a professional hygienist are the cornerstones to achieving and maintaining your dental health. Two bite-wing x-rays will be taken at your dental check up which will allow the dentist to see between your teeth at the contact points to make sure there is no new decay starting, and will show up any other decay that may be evident under existing restorative work. The sooner any of the above conditions are diagnosed, the sooner appropriate action can be taken timeously, assisting you in keeping your mouth healthy and keeping your teeth for a lifetime!